For all of your piano tuning needs, call on Barnier Piano Service. The piano is a brilliant instrument which can produce beautiful sounds that can reach listeners on a deeply emotional level. If you own or play a piano, you know how important proper tuning and service is to creating good music. Over time, the environment and how a piano is constructed affect how well it functions─ it begins to stray in and out of tune, keys become sticky, pedals malfunction, and so on. Whether you are a concert pianist or a parent enrolling a child in piano lessons, Mark Barnier will tune or repair your piano so that it produces the finest sound possible. The piano is a delicate instrument in which each wire ─or string─ produces a “fundamental” (the string vibrates from end to end) and “overtones” (other tones that vibrate in sympathy with a fundamental) to produce sound. With a keen ear and steady hand, we tune a piano by making minute changes in the tensions of the piano strings in order to tune each note to sound as pleasing to the ear as possible in as many combinations as can be made. So, how is it some people can detect when an instrument is in tune while others cannot? Very often, it is the result of having trained the ear. By listening to a well-tuned piano, over time, the sound it produces becomes your benchmark. If you’ve only ever heard an out-of-tune piano, your ears simply will have accepted that sound as being normal. However, upon listening to a well-tuned piano, your senses will delight at how balanced and elegant it sounds. 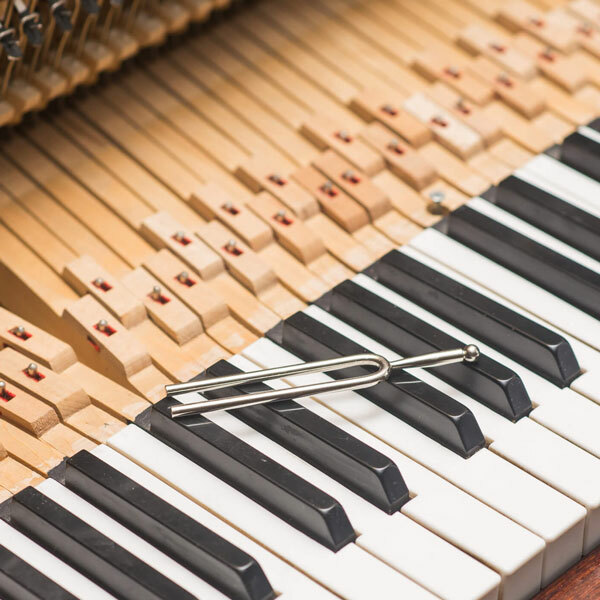 To keep your piano sounding the best that is possibly can, we suggest having your piano tuned a minimum of once a year, but preferably twice a year. Some pianists prefer to have their piano tuned more or less frequently. 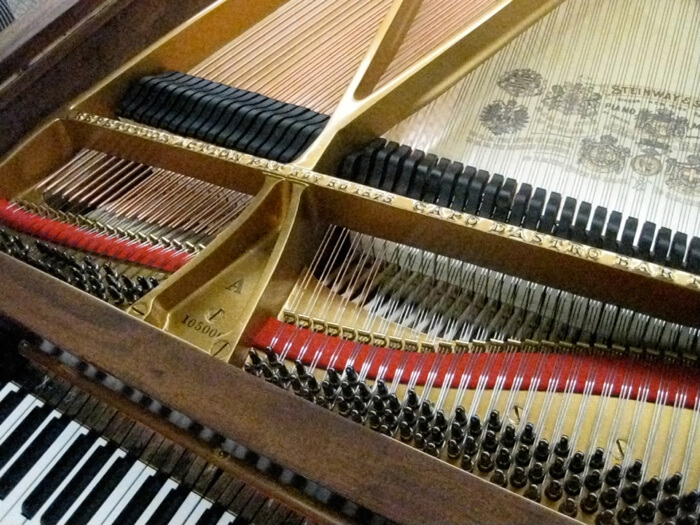 Having your piano evaluated by a piano technician will help to keep your instrument in top condition. If it has been many years since your piano was last tuned, it may require more than one tuning to get it back in pitch.